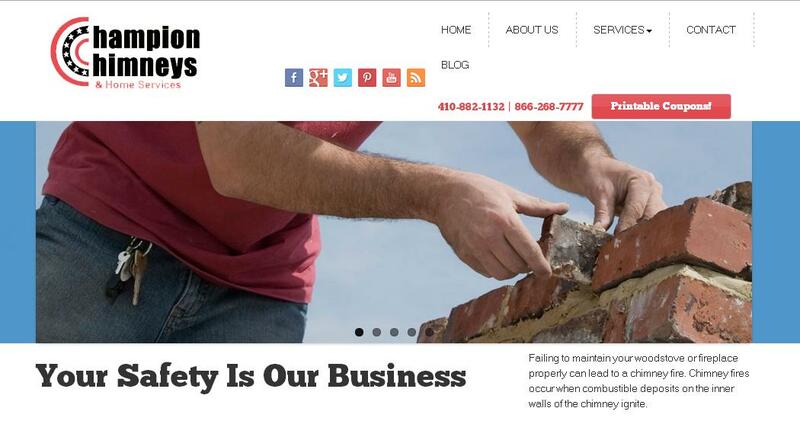 Champion Chimneys is a fully bonded and insured chimney sweeping and chimney inspection company that services residential properties in Baltimore County, Howard County, Anne Arundel County and throughout the state of Maryland. Champion Chimneys is 100% dedicated to providing homeowners high quality chimney sweeping, chimney inspections and chimney cleanings. Anytime a person uses highly flammable material in a home, there’s a chance creosote accumulation can occur in the chimney and cause a devastating chimney fire. Let Champion Chimneys handle your chimney sweeping today. Check out the newly designed website now. If you need a new website design, Adventure Web Productions is here to serve your web marketing needs. At Adventure Web Productions, we stand ready to help you fully unlock the full potential of the Internet. If you’re not successful, neither are we. We offer award-winning Web Development and services as mentioned in Baltimore Business Journal, The Daily Record, The Washington Times, CNBC, Merchant Circle, and other local and national news media.